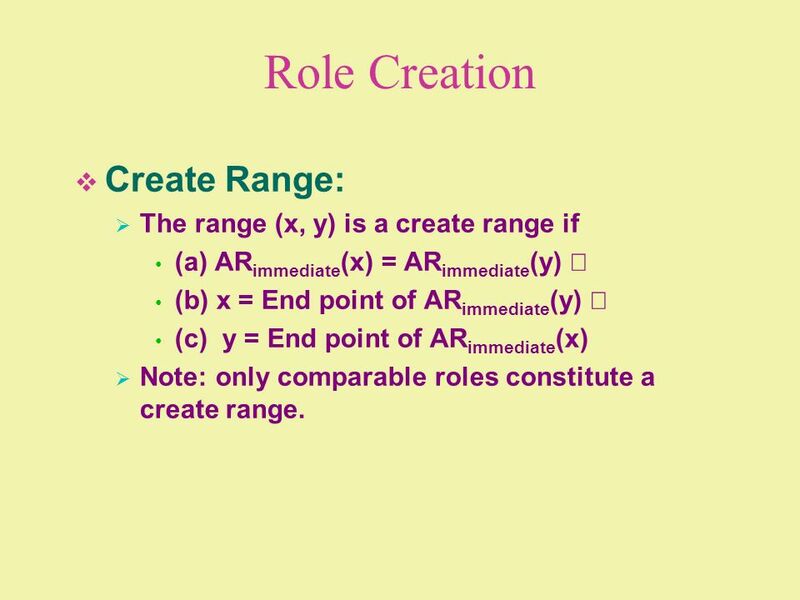 (a) ARimmediate(x) = ARimmediate(y) Ú (b) x = End point of ARimmediate(y) Ú (c) y = End point of ARimmediate(x) Note: only comparable roles constitute a create range. 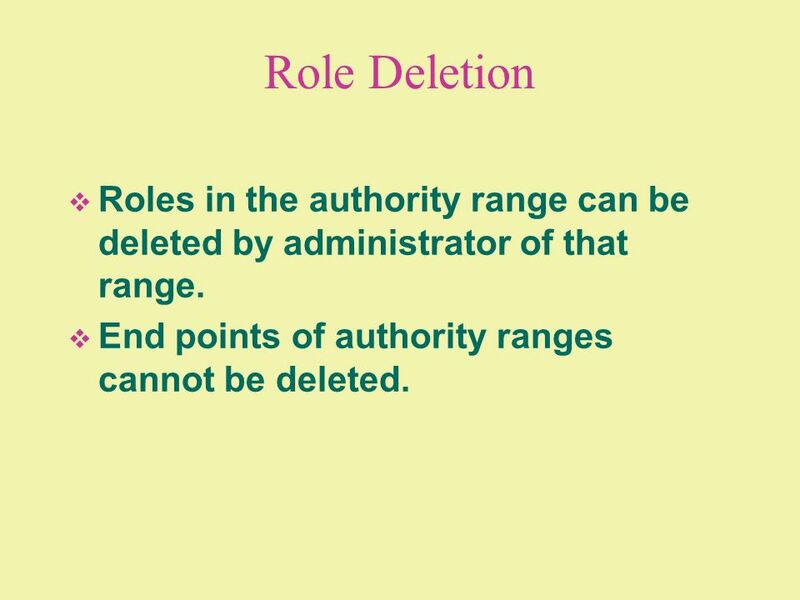 27 Role Deletion Roles in the authority range can be deleted by administrator of that range. 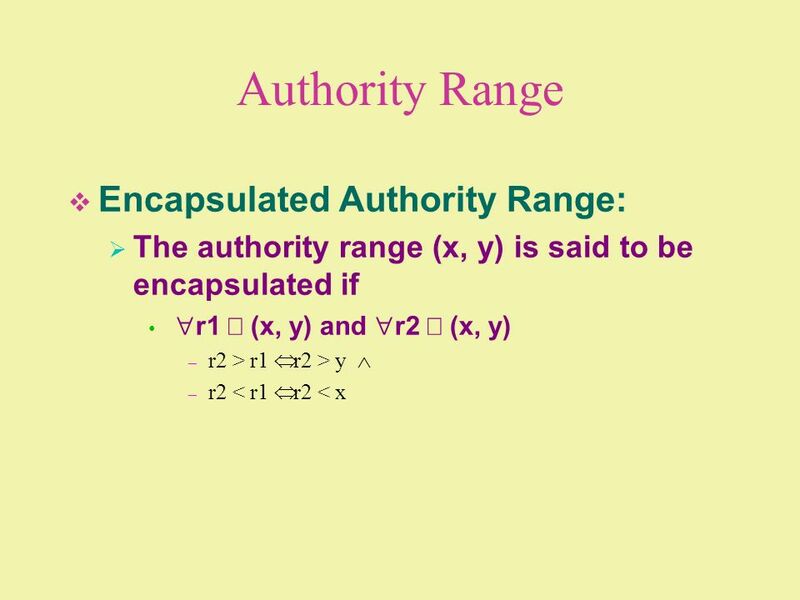 End points of authority ranges cannot be deleted. 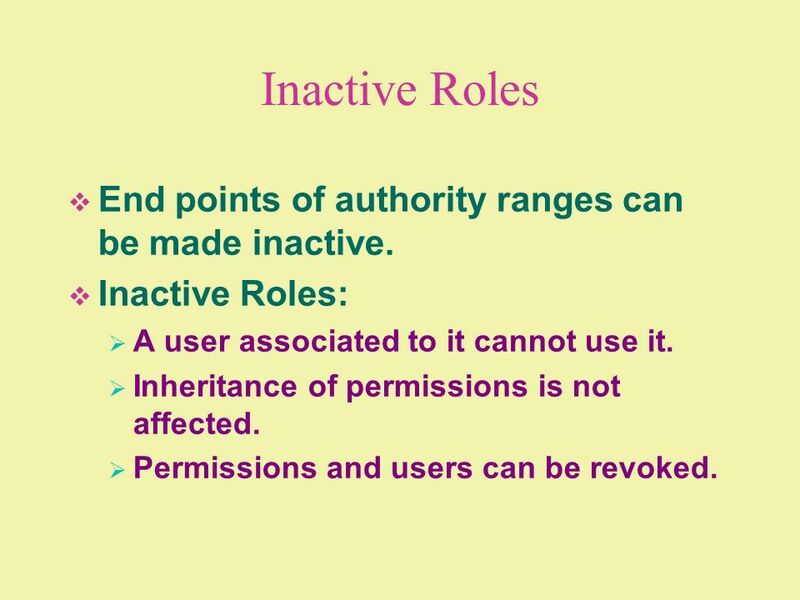 28 Inactive Roles End points of authority ranges can be made inactive. 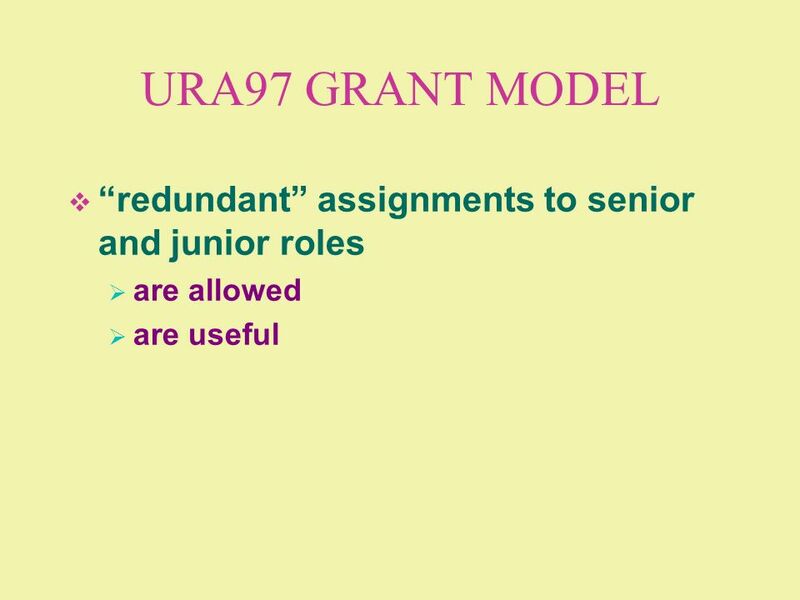 A user associated to it cannot use it. 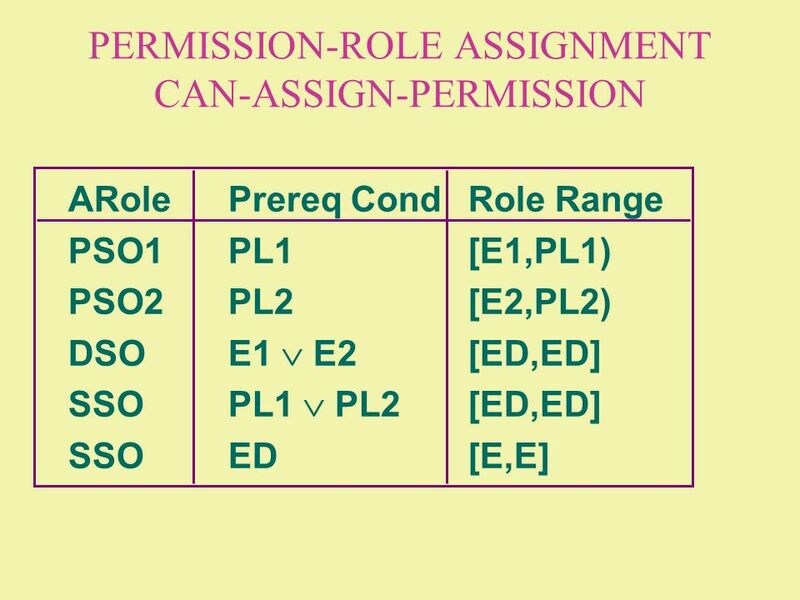 Inheritance of permissions is not affected. 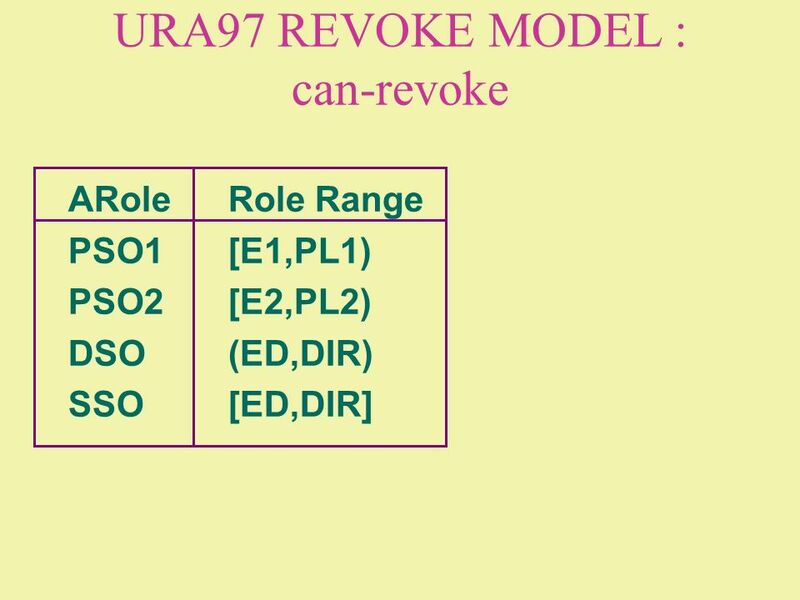 Permissions and users can be revoked. 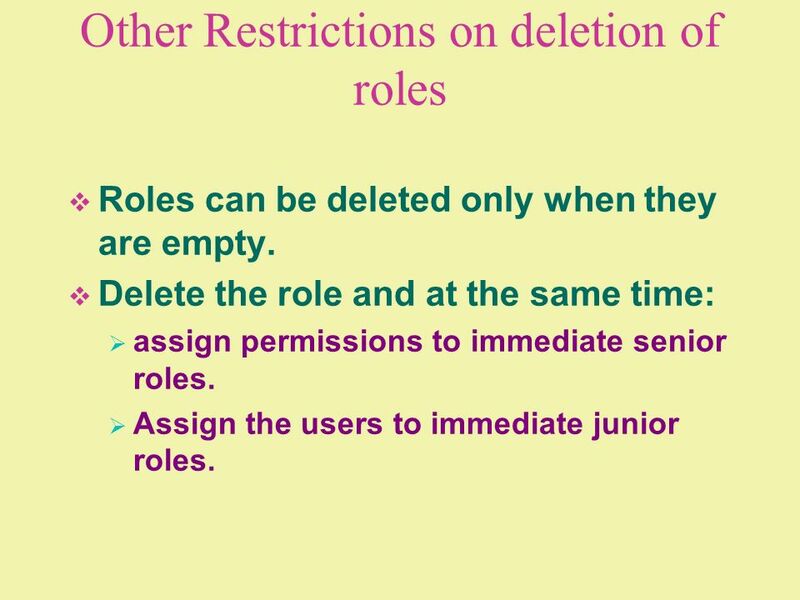 Roles can be deleted only when they are empty. 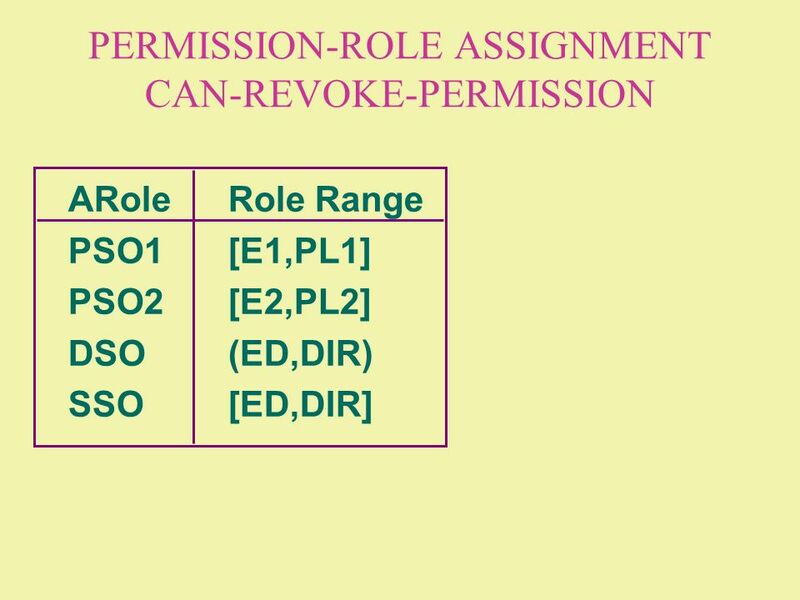 Delete the role and at the same time: assign permissions to immediate senior roles. 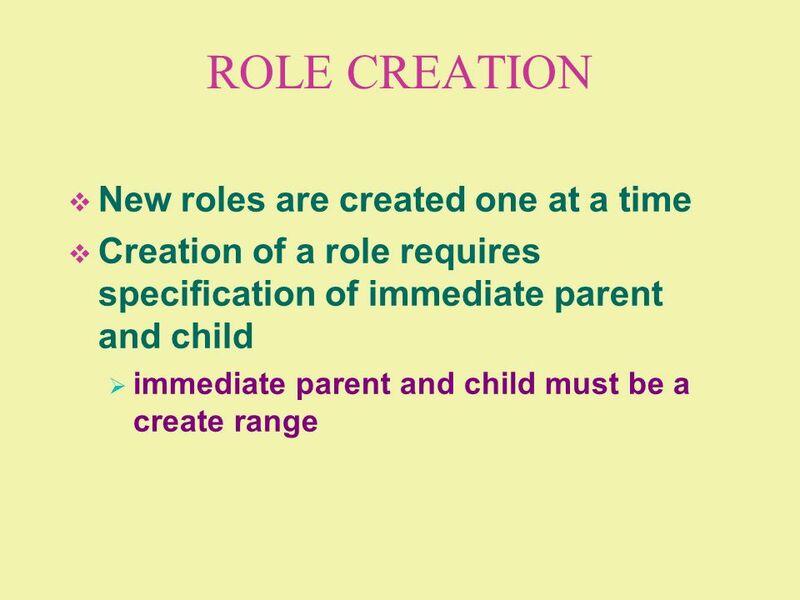 Assign the users to immediate junior roles. 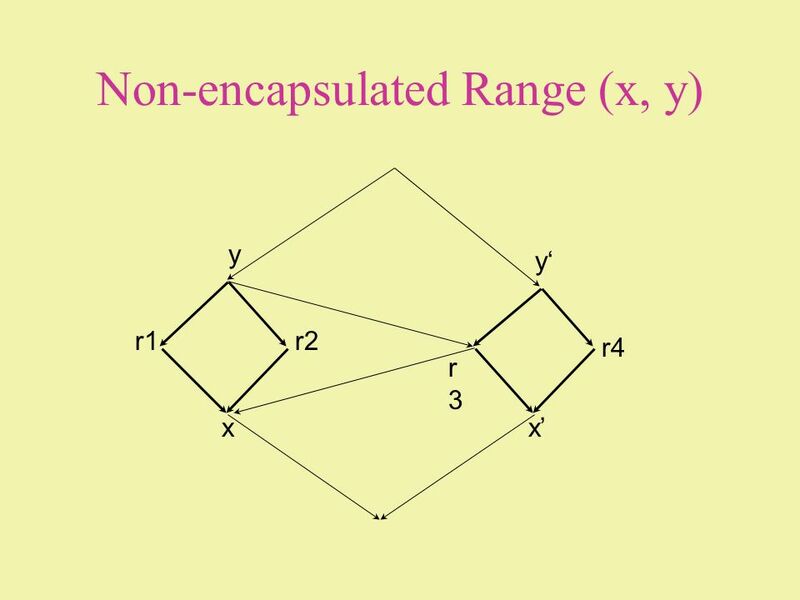 30 INSERTION OF AN EDGE Inserted only between incomparable roles (No Cycles) Inserted one at a time. 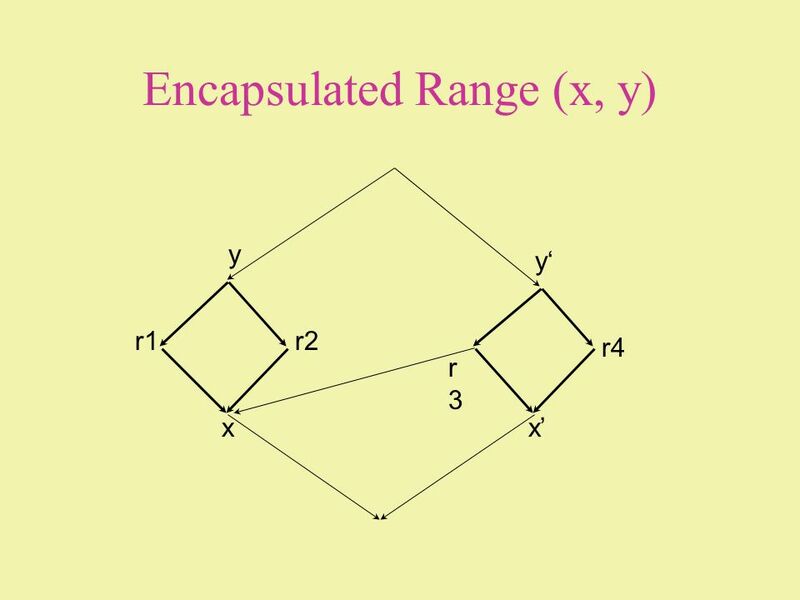 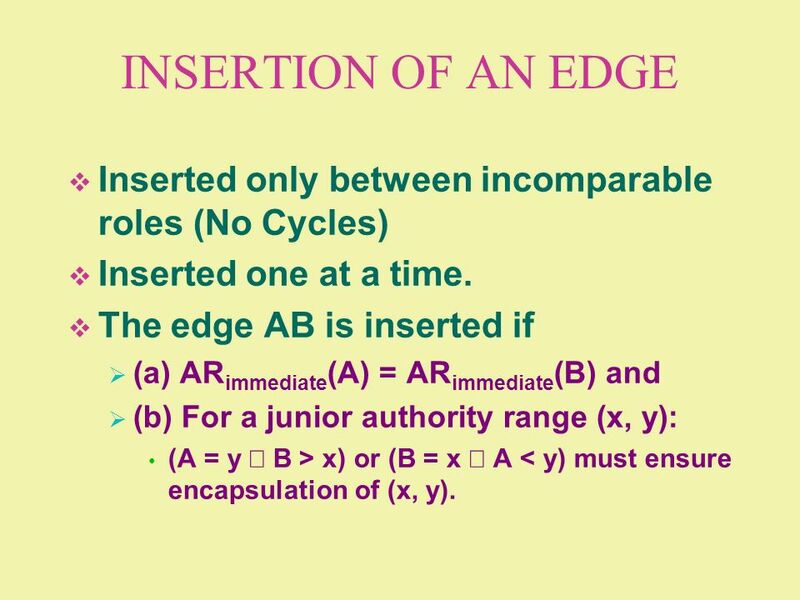 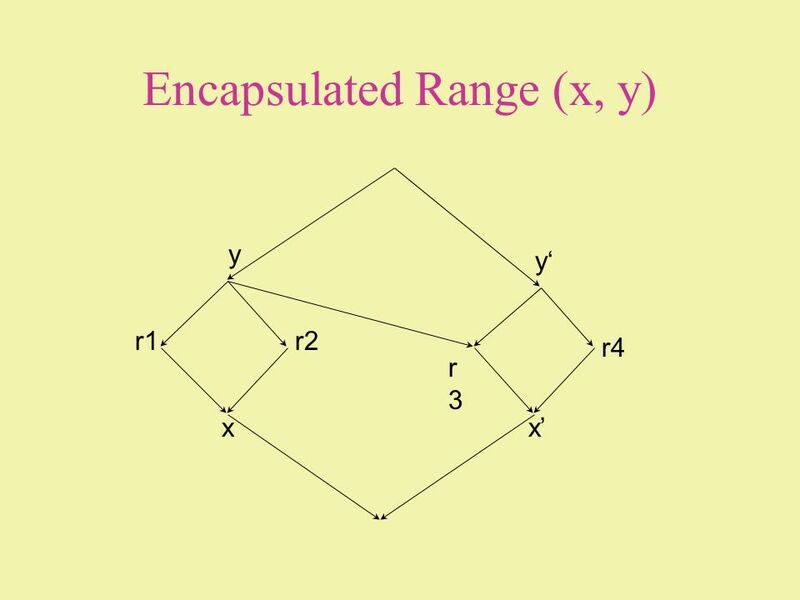 The edge AB is inserted if (a) ARimmediate(A) = ARimmediate(B) and (b) For a junior authority range (x, y): (A = y Ù B > x) or (B = x Ù A < y) must ensure encapsulation of (x, y). 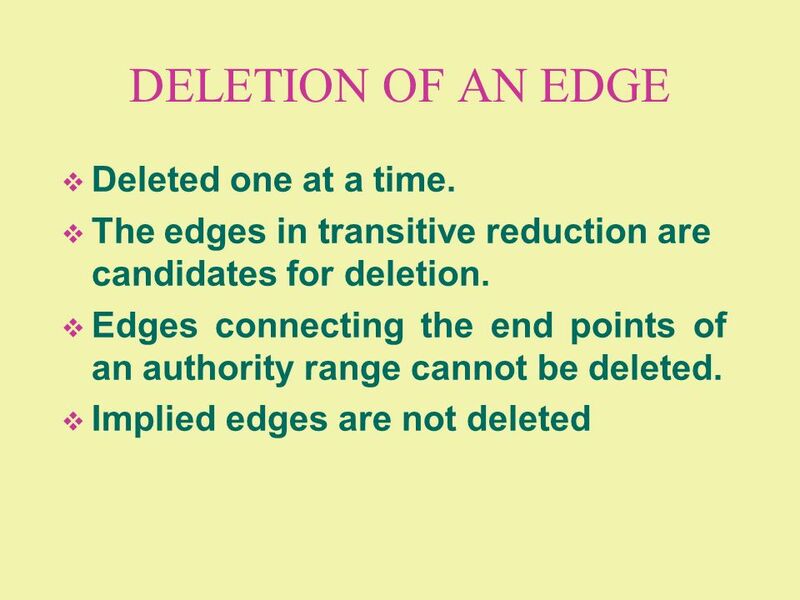 31 DELETION OF AN EDGE Deleted one at a time. 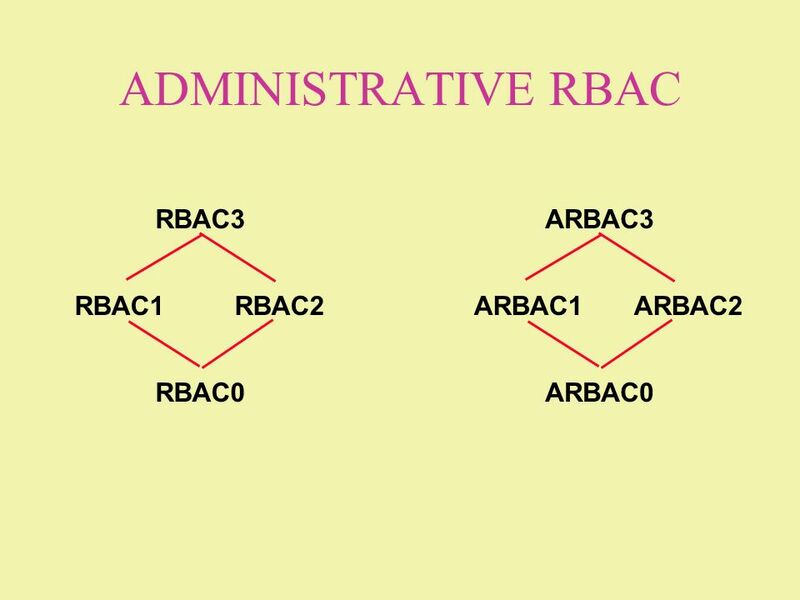 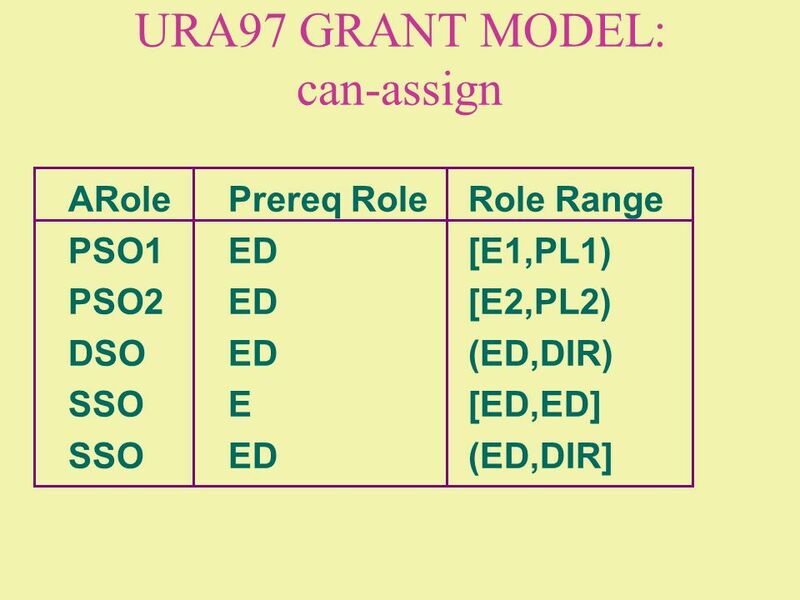 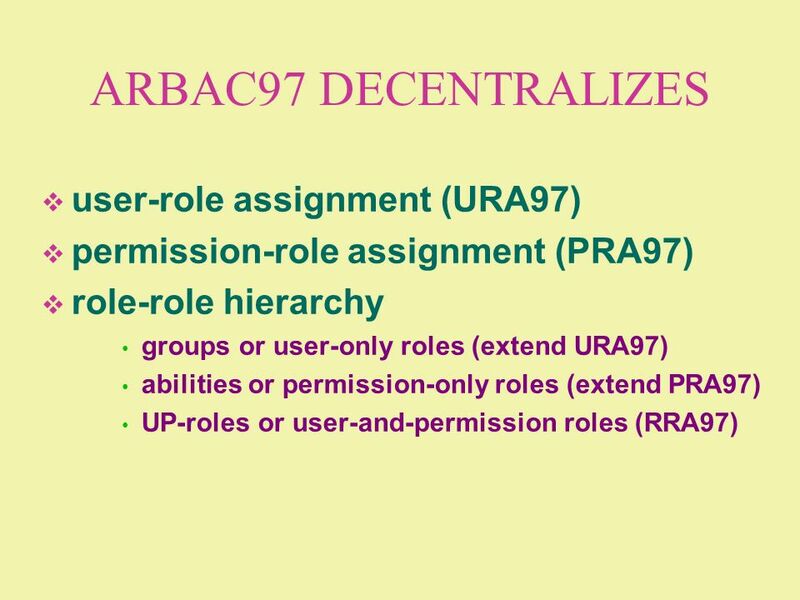 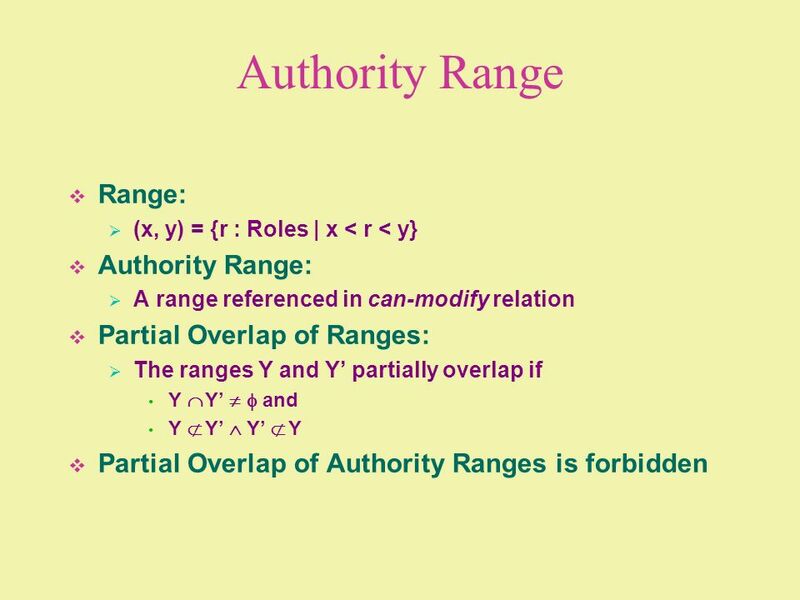 RRA97 provides decentralized administration of role hierarchies. 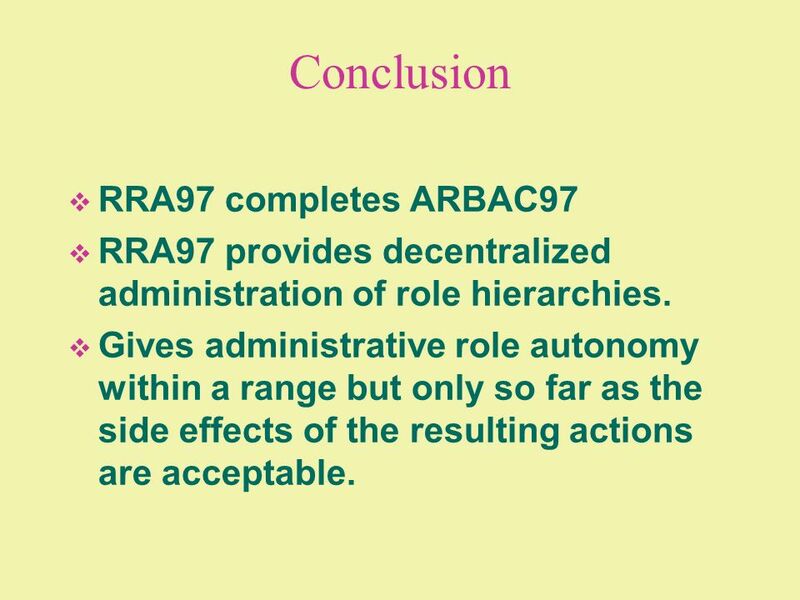 Gives administrative role autonomy within a range but only so far as the side effects of the resulting actions are acceptable. 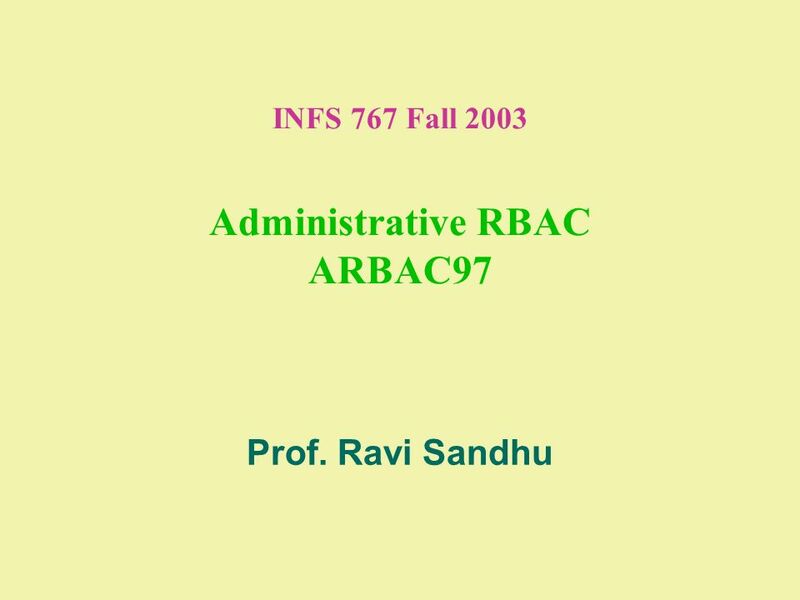 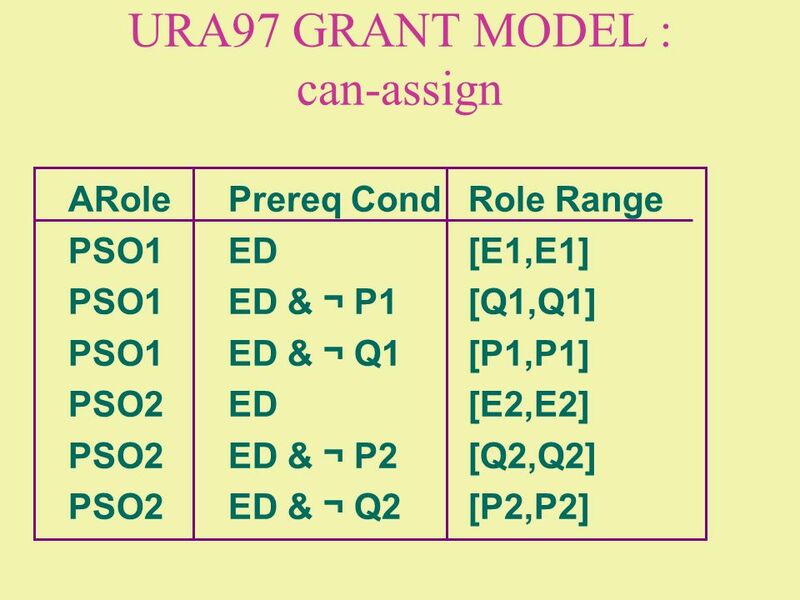 Download ppt "INFS 767 Fall 2003 Administrative RBAC"
Chapter 5 Deadlocks. 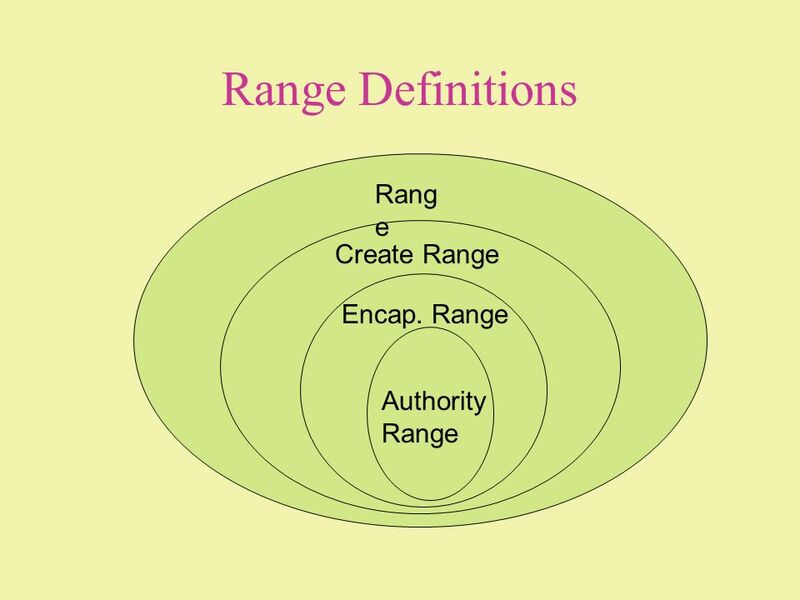 Contents What is deadlock? 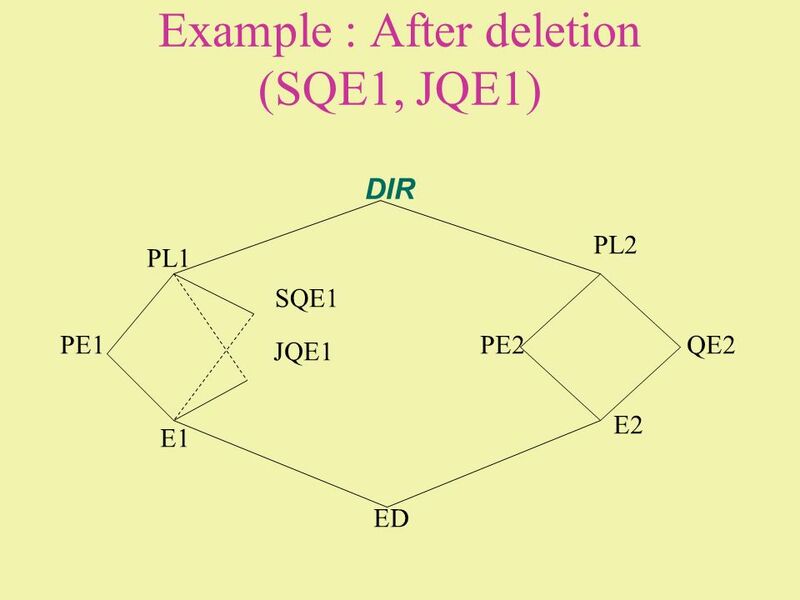 What is deadlock? 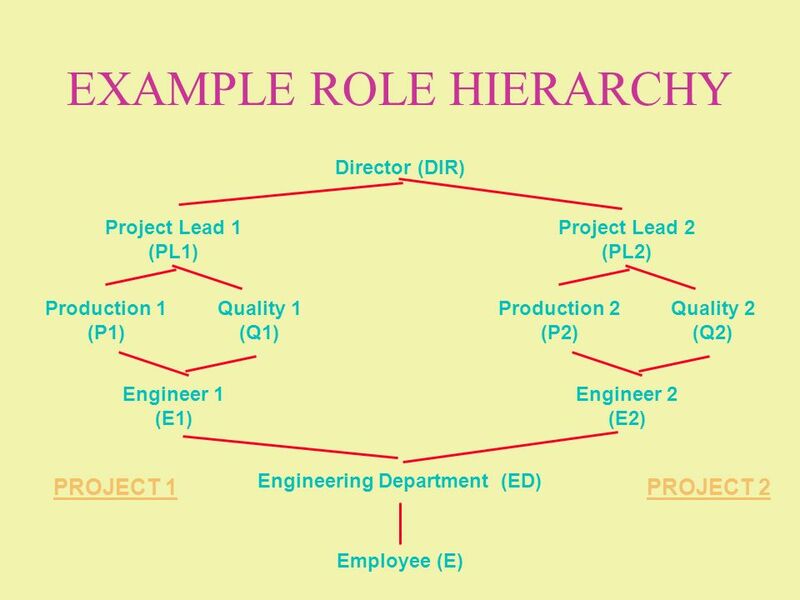 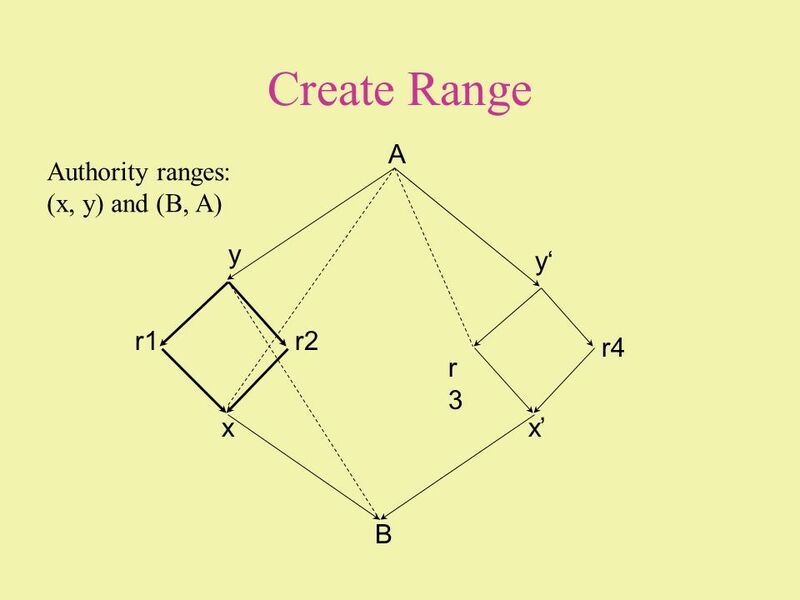 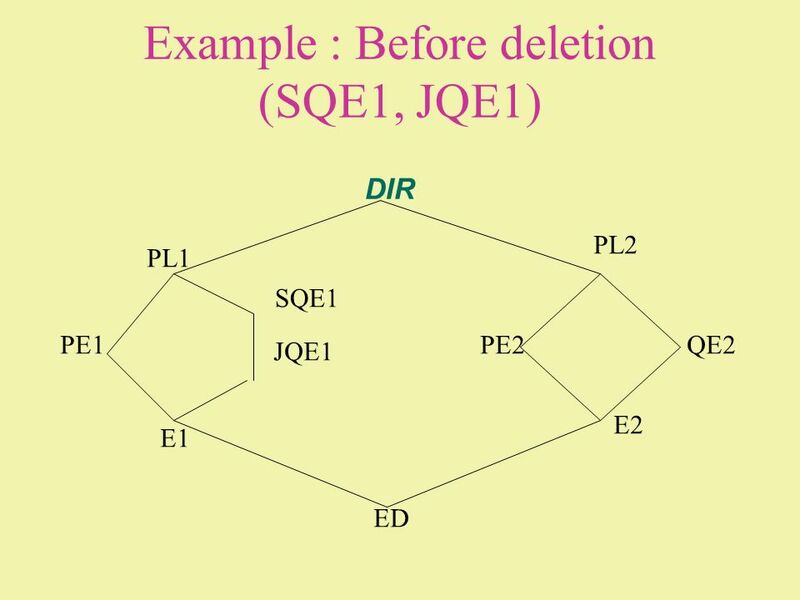 Characterization Characterization Resource allocation graph Resource allocation graph. 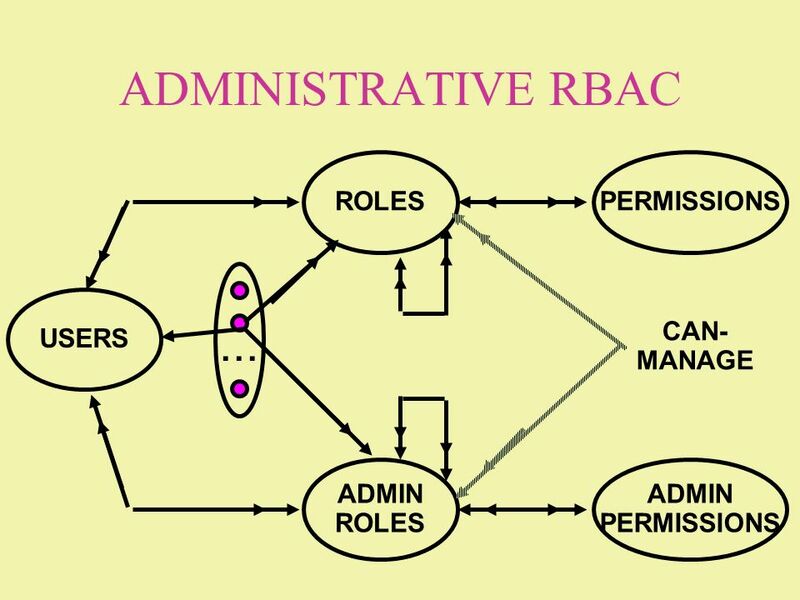 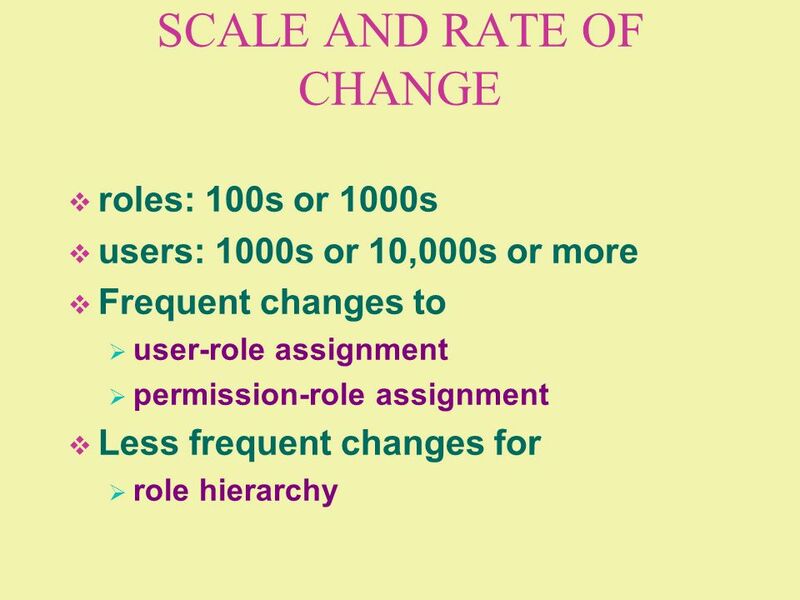 © 2004 Ravi Sandhu Role-Based Access Control Prof. Ravi Sandhu Laboratory for Information Security Technology George Mason University. 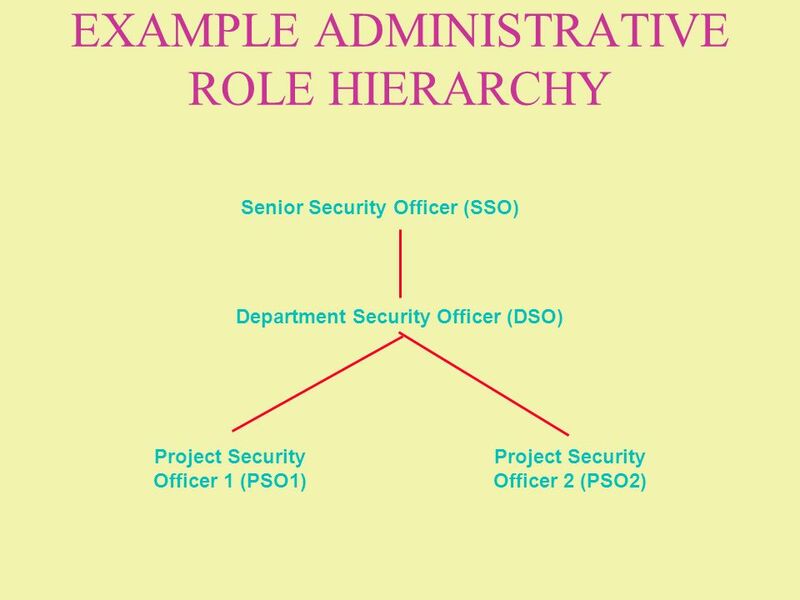 How to do Discretionary Access Control Using Roles Ravi Sandhu Qamar Munawer.